Updated: Monday, Jan. 10, 2011, 5:30 p.m. MST. Developing story; additional updates here. 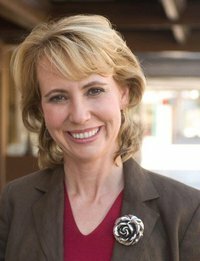 TUCSON, Ariz. — U. S. Representative Gabrielle Giffords (D-Ariz.) is in critical condition after suffering a single gunshot wound to the head while appearing at a public event in Tucson, Ariz. Saturday. Six people were killed in the mass shooting incident, including a federal judge. Giffords, 40, a member of the House LGBT Equality Caucus and a strong supporter of gay rights, was shot at close range in the head during a “Congress On Your Corner” event outside a Safeway grocery store in northwest Tucson. At least 13 people were injured. 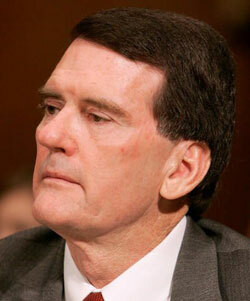 Among the six dead are U.S. District Judge John Roll, 63, Gabe Zimmerman, 30, an aide to Rep. Giffords, and 9 year-old Christina Greene, who was born on 9/11. 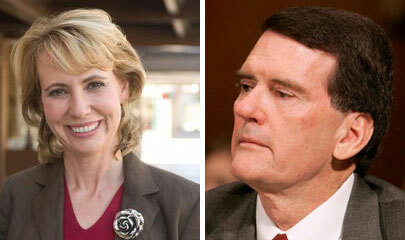 At a news conference Saturday evening, Pima County Sheriff Clarence W. Dupnik said Giffords was clearly the target. Giffords is alive after undergoing emergency surgery, according to Dr. Peter Rhee, director of trauma at the University Medical Center in Tucson. She is listed in critical condition and recovering in UMC’s Intensive Care Unit. “I’m as optimistic as you can get in this situation,” Rhee said, but said he will monitor her closely in the next 24 hours before determining her prognosis. Daniel Hernandez Jr., a gay intern who had been working for Giffords for only five days, is credited with helping to save the Congresswoman’s life. The gunman, 22-year-old Jared Lee Loughner, has been charged with one count of attempted assassination of a member of Congress, two counts of killing an employee of the United States and two counts of intent to kill employees of the United States. During a search of Loughner’s home, authorities found an envelope with handwriting that read “I planned ahead,” and “My assassination” and the name “Giffords,” as well as Loughner’s signature. Giffords was talking to a couple shortly after 10:00 a.m. when the Loughner ran up and fired from about four feet away. Loughner, in a 2010 photo at a Tucson book festival. A witness, Steven Rayle, a Tucson doctor, told The Washington Post, that he saw the gunman, a young man wearing sneakers and what appeared to be navy blue sweats, approach Gifford with a semi-automatic handgun raised. The gunman said nothing before shooting the congresswoman once in the head, Rayle said. post. The gunman then fired into the crowd, he said. After a few seconds, Rayle said, the man stopped shooting and tried to flee. Loughner told authorities at the scene he had acted alone, but Pima County Sheriff Clarence Dupnik said he was “not convinced.” Dupnik said there is reason to believe that the gunman came to the location with another individual. 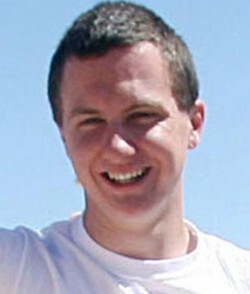 A former classmate described Loughner as a pot-smoking loner who had rambling beliefs about the world. 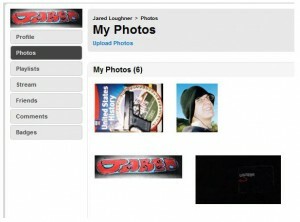 This image of Lougher's MySpace page, captured before it was removed, shows a photo of a Glock Model 17 handgun, which is capable of using large magazines. Federal law enforcement officials were poring over captured versions of a MySpace page that belonged to the suspect and over YouTube video published to the Internet weeks ago under an account “Classitup10” and linked to him. In one of several YouTube videos, which featured text against a dark background, Loughner described inventing a new U.S. currency and complained about the illiteracy rate among people living in Giffords’ congressional district in Arizona. U.S. District Judge John M. Roll was among the dead. Giffords had worked with Roll in the past to line up funding to build a new courthouse in Yuma, and President Barack Obama hailed him for his nearly 40 years of service as a judge. Court for the District of Arizona. He had served as chief judge since 2006. Law enforcement sources said that Roll lived nearby and stopped by the Safeway to say hello to Giffords. “Chief Judge John Roll was a dedicated jurist whose death is a terrible loss to Arizona and to the country,” said Vice-President Joe Biden in a statement today. Giffords is a native of Tucson and the third woman in Arizona’s history to be elected to serve in the U.S. Congress. She was first elected to represent Arizona’s 8th District in 2006, and re-elected to her third term last November. The Congresswoman is married to Cmdr. Mark E. Kelly, a NASA astronaut and U.S. Navy pilot. Giffords’ Tucson office was one of three damaged last March by vandals who targeted Democrats in advance of the U.S. House vote on President Obama’s controversial health care legislation. 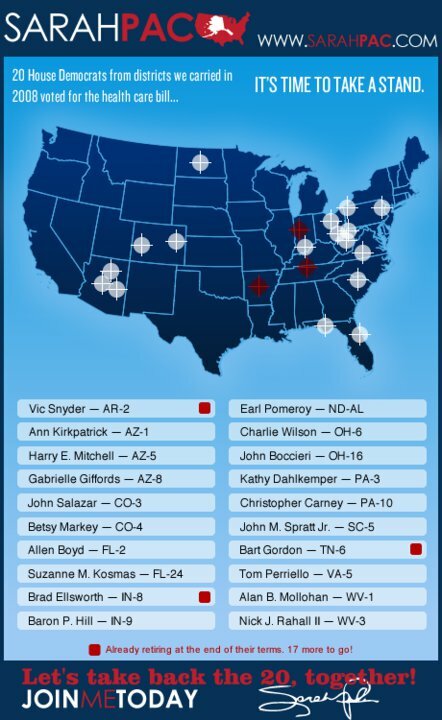 Following the vote, Giffords landed a place on Sarah Palin’s infamous “crosshairs” map, which targeted legislators who voted for the health care bill. The map was criticized as an incitement to violence, and as of Saturday afternoon, is still posted to Palin’s Facebook page. Giffords was one of at least 10 House members who had raised concerns about their personal security following the healthcare vote. The “Congress on Your Corner” events allow constituents to present their concerns directly to her. “We are shocked and saddened by the events involving Congresswoman Giffords and our hearts go out to her and the other victims of this awful tragedy, said HRC President Joe Solmonese. “Gabby Giffords is a champion for LGBT equality and a principled leader for Arizona. We wish her a speedy recovery as our thoughts and prayers are with her family as well as with the families of all of those touched by today’s horrific violence,” Solmonese said. ﻿“All of Arizona is shocked and deeply saddened by the horrific tragedy that transpired this morning in Tucson,” said Arizona Governor Jan Brewer. Brewer ordered all U.S. and Arizona flags lowered to half staff until sunset. They will be lowered again on the day of Roll’s interment. At a news conference today, Sheriff Dupnik, offered an emotional indictment of the state of political discourse. “There’s reason to believe that this individual might have a mental issue, and I think that people who are unbalanced might be especially susceptible to vitriol,” he said.